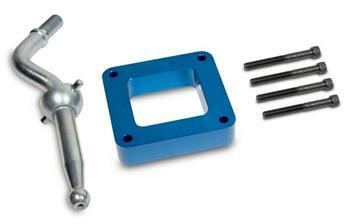 BD Diesel Short Shift Kit DODGE - Lightning Motorsports - Selling Speed since 1996 ! BD Diesel Short Shift Kit puts the fun back in your driving by reducing shift lever travel by 20%, resulting in faster, more positive shifts. The kit includes everything you need for an easy, do-it-yourself installation, including a billet aluminum shift plate, forged steel shift handle and high-strength fasteners.